For more than two decades, Lloyd Scott and Josy Cooner Collins have helped upgrade Dallas residences with their vibrant collection of traditional and modern European furniture. 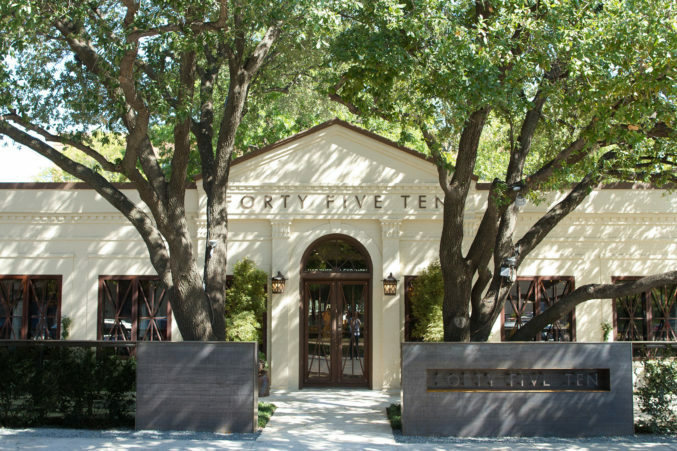 And now they’ve expanded their influence beyond their 15,000-square-foot Design District home with an Austin location. 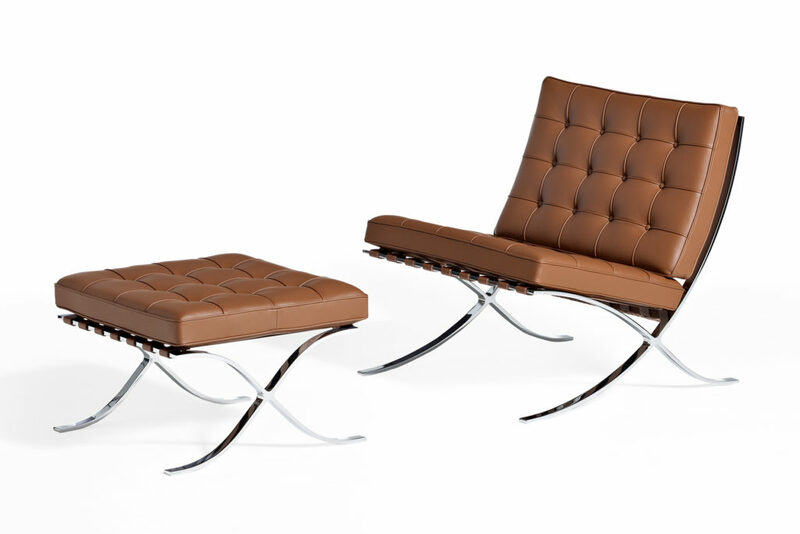 Readers’ Pick: Cantoni pairs beautiful modern furniture with interior design services and design consultants. Mom Teddie Garrigan and daughter Courtney fill their Henderson Avenue store with antiques, contemporary art, and one-of-a-kind furnishings. It’s the kind of place that inspires you just by walking through the doors. You can also peruse the Garrigans’ assortment of gift items to find local trinkets. Readers’ Pick: IBB Design Fine Furnishings offers more than 40,000 square feet of furniture and accessories from which to choose. You don’t go shoe shopping at Neiman’s. You go shoe buying. You’re almost certainly going to leave with a new pair, maybe two. All of your favorite designers are there: Jimmy Choo, Rag & Bone, Christian Louboutin. It’s Neiman’s. It hasn’t made it through a century and change by letting anyone down. Readers’ Pick: The shoe collection at Nordstrom holds the likes of Jimmy Choo and Alexander Wang, as well as Sam Edelman and Nike. Owners Abby and Wlodek Malowanczyk first opened Collage 20th Century Classics in Laguna Beach in 1986, but they added a Dallas location in the Design District just four years later. The 3,500-square-foot space houses comfortable seating pieces as well as inventive fixtures and furnishings. Readers’ Pick: Different vendors make Lula B’s Antique Mall a treasure trove of vintage and antique pieces. 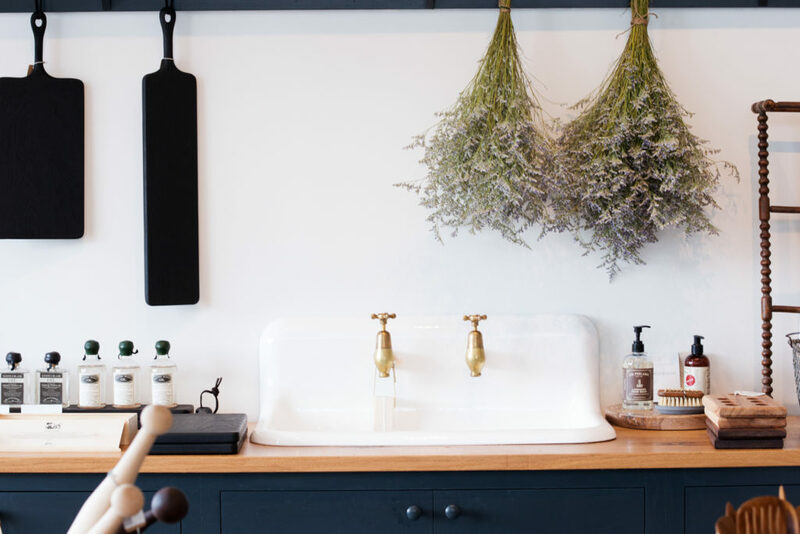 Interior designer Jennifer Littke and her husband, Adam, are the heart and soul behind this charming artisanal home and kitchen store located in Oak Cliff. 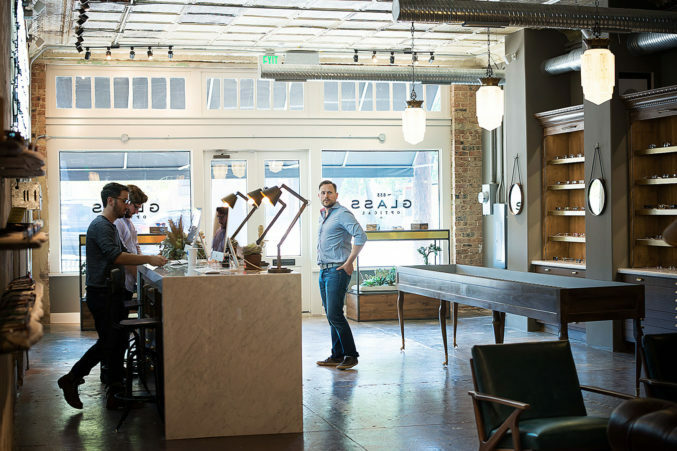 Inside a picturesque 1922 brick mercantile building at the corner of Davis and Tyler, you’ll find handmade ceramics, cutlery, textiles, and more. The shop also offers design services. Readers’ Pick: At Sur La Table, take a cooking class and buy a new stand mixer in the same visit. Stepping through the wardrobe-shaped doors of this Highland Park shop won’t land you in Narnia. But for savvy shoppers, the destination might be even better. The copper racks are lined with West and East Coast-inspired apparel that’s both chic and affordable—a fantasy all its own. Readers’ Pick: Online shop Bee’s Knees Loft specializes in small-batch, affordable, timeless clothing. Anne and Wes Goyer’s store started outfitting ski vacations in 1978, eventually embraced summer sports, too, and last year changed its name (from St. Bernard Sports) as it extended its reach into everyday fashion. But its flagship location at Inwood and Lovers continues to stock all of the activewear you could ever need, with brands such as Vineyard Vines, Barbour, and local high-end flip-flop maker Hari Mari. Readers’ Pick: At REI, you can get suited up for your marathon while you get your bike tuned up. This chic women’s clothing boutique is our go-to for designer jeans, cocktail dresses, statement jewelry, and trendy handbags. Sip a glass of Champagne as you shop standout brands including Mara Hoffman, MSGM, Pamela Love, VEDA, and No. 21. Irina Zhuravsky, the in-house seamstress, will make sure your new wardrobe fits immaculately. Readers’ Pick: Planet Bardot owner Diana Tabeshi brings West Coast style to the women of Dallas. There’s something to be said for finding treasures among the polyester and bric-a-brac of the average vintage shop, but the easiest way to start a dynamite designer collection—we’re talking 1950s Dior dresses and Gaultier blazers from the ’80s—is a voyage to Vintage Martini. The consignment store is full of gems. Dallas’ most luxurious upscale boutique will get only better when it moves to its new downtown showpiece location this fall. For now, labels such as Balenciaga, Céline, Saint Laurent, Chloe, and Givenchy fill the 8,000-square-foot store on McKinney. Swing by the T Room before you leave to enjoy an elegant lunch. Readers’ Pick: Planet Bardot has a beautifully curated collection of cashmere, denim, and jewels. Since the Snider Plaza shops sit side by side, the whole brood is covered from newborn up to size 14. We love the range of Babybliss’ tiny styles, from precious Kissy Kissy footies to Locally Grown’s graphic onesies, and for bigger kids, MiniMe’s mega selection of globally inspired threads from Tea. Kudos to the new tween area, which stocks clothing plus super-cool accessories such as temporary tattoos and mermaid tails. Readers’ Pick: The Little Things has toys for your little ones from brands such as Aden + Anais, Mini Rodini, and Peas and Queues. Like its women’s counterpart, the 4,000-square-foot Men’s Shak skews younger than its Stanley Korshak parent, better reflecting the demographic of its Uptown location. You can scroll through new arrivals such as Rag & Bone denim, Eton shirts, and Trask shoes on its Instagram page (@theshakman) before you stop by. Readers’ Pick: Browse through racks of sharply tailored clothes at Steven Alan, alongside luxuriously crafted leather goods. 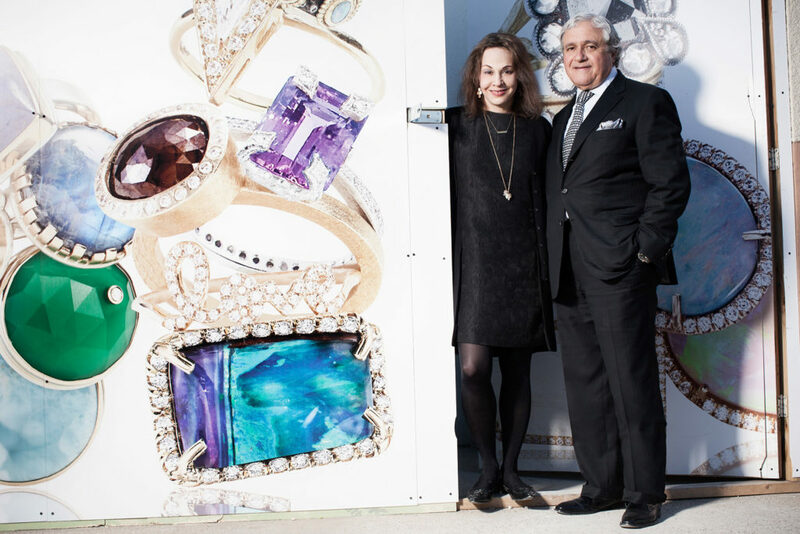 Over more than 30 years, Ylang 23’s Joanne and Charles Teichman have earned a reputation for providing a diverse selection from a variety of designers. That means you’ll find names such as Megan Thorne (with her simple and timeless pieces) and Jamie Joseph (with her colorful, stone-centered jewelry) under the same roof. Readers’ Pick: Designer Gresham Hodges creates every piece at Jewelry by Gresham by hand, combining nature, antiques, and precious stones. While not unique to Dallas anymore, Neiman’s is still where you’ll find your next favorite pair of jeans, no matter what you’re looking for: distressed and embroidered, skinny or flare, cropped and colored jeans all in your favorite brands, such as True Religion and 7 For All Mankind. Readers’ Pick: The high-end denim at Planet Bardot comes in a variety of fits, cuts, and designers, giving everyone the right pair of jeans to slide into. Dr. Stephen Wilkes moved his optometry practice to North Oak Cliff in 2014, and his son, Paul, joined him to handle the creative side. Paul’s wife Megan gave their store a rough-hewn design that fits the handcrafted aesthetic of their collection of hard-to-find eyewear. Suggestion: after browsing, pop down to Megan’s Emporium Pies in Bishop Arts. 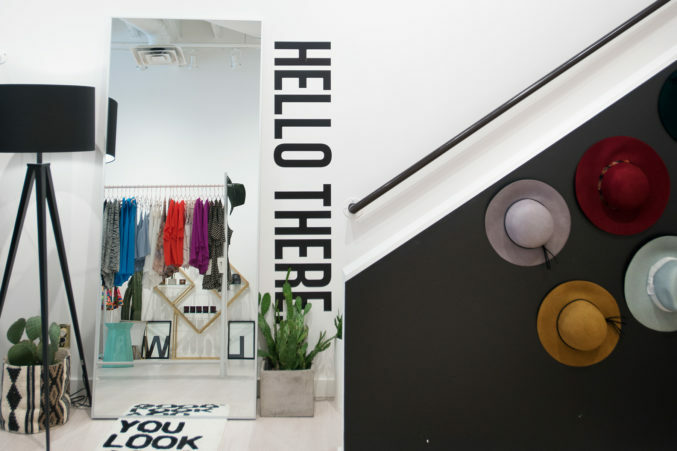 Readers’ Pick: The classroom-themed storefront at Warby Parker boasts a large collection of fashionable eyewear. Pierce Hardware has been a fixture in Dallas since 1937. (Sorry.) But don’t head for the old Snider Plaza location. The company recently relocated to a larger showroom close to Love Field with more floor models, so you can flush and rinse the displays to your heart’s content. Readers’ Pick: Since its start in a converted house in 1947, Elliott’s Hardware has expanded to locations in Dallas, Mesquite, and Plano. This L.A.-based shop’s space inside the downtown Joule hotel stocks a bit of everything, from Zanzan sunglasses and Fort Standard stone trivets to coats from Horses Atelier and Mquan Studios dog bowls. TenOverSix also hosts special events and designer pop-ups. Readers’ Pick: Paper Affair has locations in Dallas, Plano, and Frisco for all of your specialty paper needs. Besides providing garden, home, and living decor, the team at Nicholson-Hardie provides knowledge. They believe the best garden should have four components: mind, body, heart, and soil. The 16 Texas-certified and master-certified nursery professionals are probably a hit at cocktail parties-turned-plant-trivia nights. From decorative mirrors to detailed fireplace screens, this Design District showroom provides the details that really make a house a home. With more than 20 years of experience, shop owner and interior designer Laura Lee Clark Falconer works closely with her clients to build a space’s character. We can’t get enough of her Asian antiques. 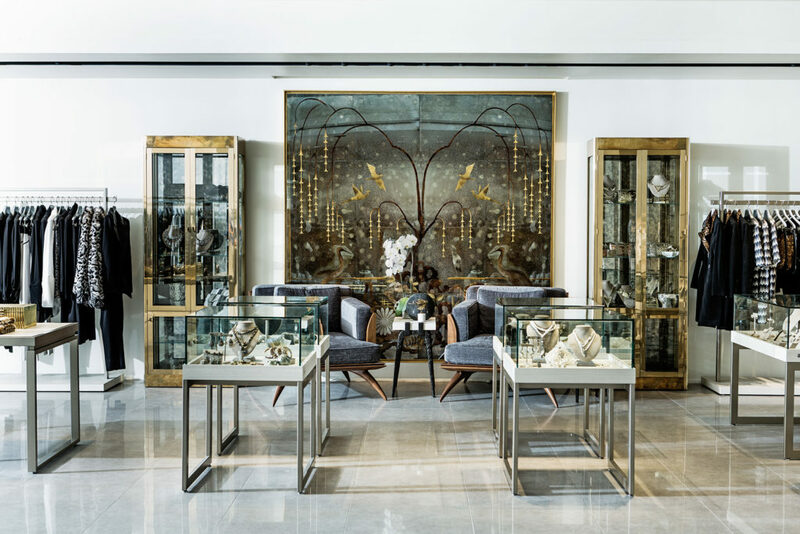 Readers’ Pick: Coco & Dash exudes luxury and offers a beautiful selection of antiques. With this little floral shop in Highland Park, owned by noted party planner Todd Fiscus, you aren’t getting an average bouquet. These flowers are specially chosen from the fields of Japan, Holland, and South America. You don’t need to go very far to get a taste of the world’s best floral arrangements. Readers’ Pick: The flowers are imported fresh every day at Simply Elegant Dallas to create unique, individualized floral arrangements. Forget any preconceived notion you have about patio furniture: the sleek selection at this Design District showroom defies expectations. Iroko wood tables look like works of art, and stainless steel lounge chairs are almost too pretty to sit on. Almost. 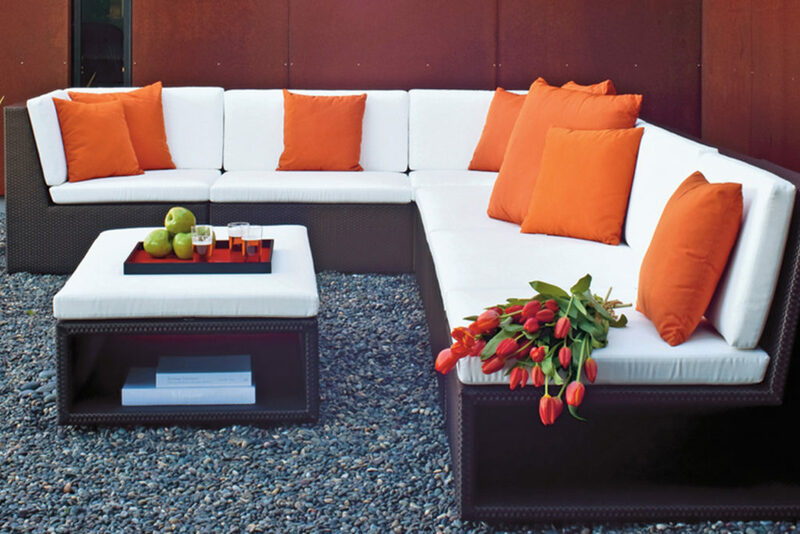 Readers’ Pick: Sunnyland Furniture Company is the largest outdoor furniture store in Texas. You won’t run into pushy salespeople here, just chill gearheads aiming to cultivate the city’s bike scene. Tag along for weekend campouts, weekly social rides, or join the racing team, whose motto—“Live slow. Die whenever.”—speaks volumes about the shop’s approach. Readers’ Pick: All locations of local chain Richardson Bike Mart have a staff of experts who ride the bikes they sell. Taylor Garrett, the owner of this Highland Park luxury pet boutique, has a straightforward approach to his business. Garrett won’t sell anything he wouldn’t give to his French bulldogs, who gave the store its name. That means high-end creature comforts like stylish handmade bow ties, chic bedding, and healthy dog treats. The folks behind Josey Records talk about “building culture through music.” Mostly that means music on vinyl, a medium that takes more time and attention. But Josey also carries a broad selection of CDs, records, and tapes, too. It is the spot to find anything you were (or weren’t) looking for. 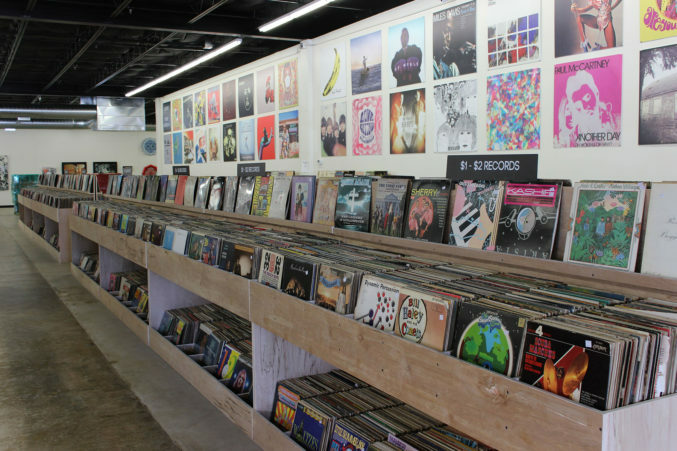 Readers’ Pick: Good Records off of Greenville Avenue carries used and new vinyl records and CDs, and live concerts happen regularly. With its Lovers Lane location and two more in Far North Dallas, Paper Affair is an easy choice when you’re in the market for custom stationery pretty much anywhere in Dallas. But it’s not just convenient. The friendly staff will guide you through the whole process, and you can also put together a gift using the store’s selection of cards, candles, and jewelry. The Lotus Shop lets patrons take a little bit of the Far East home after visiting the underrated Crow Collection of Asian Art. But it also works on its own. The store—which moved into a larger new space across Olive Street a few years ago—offers genuine tea sets, thoughtful books, and colorful purses. 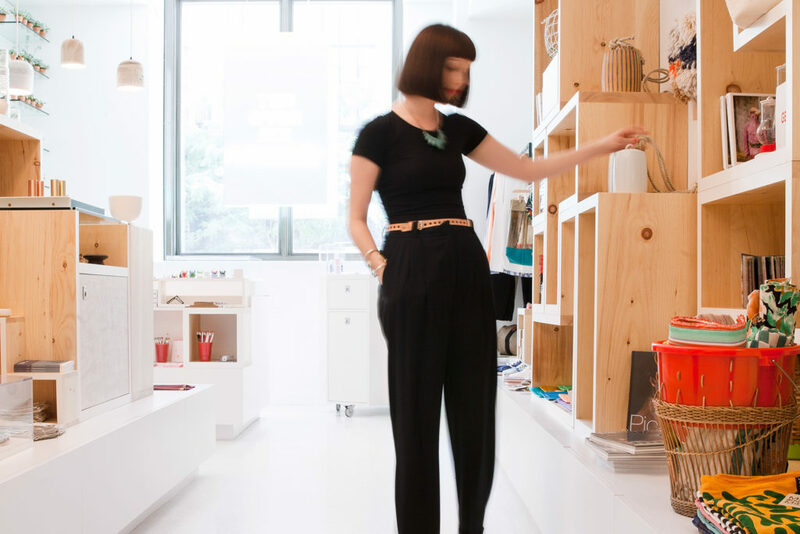 Readers’ Pick: The store at the Nasher Sculpture Center carries jewelry, art, and custom pieces. Owner Candace Williams does more than sell toys. The former teacher also wants to help get kids excited about learning—and maybe off their screens for a few minutes. Here, “educational toy” is way more fun than it sounds. In addition to the original location in the Preston Royal Shopping Center, there is now a Southlake outpost.